Blog: Chandelier under Granville Street Bridge. Chandelier under Granville Street Bridge. 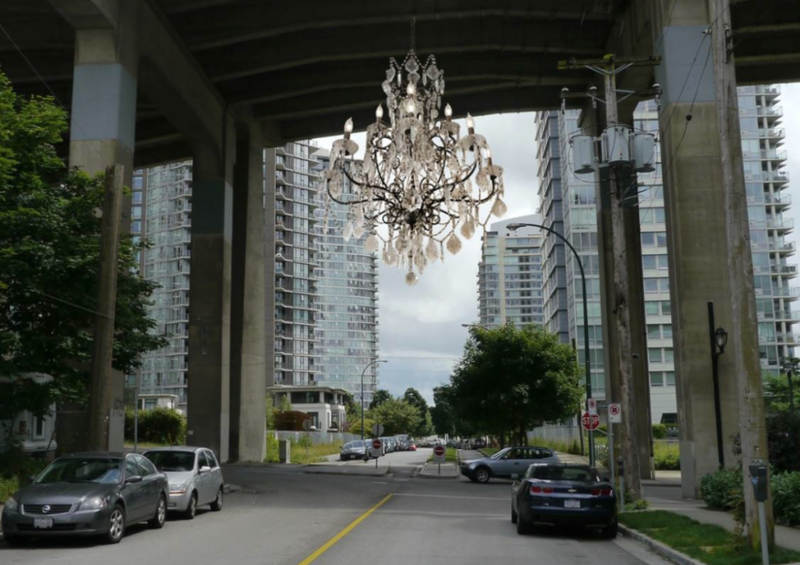 The City of Vancouver’s Public Art Committee has approved the permanent installation of a large spinning chandelier on the underside of the Granville Street Bridge.